Emerging Canadian Dance/Pop artist Sheldon Scott is gaining steam in a big way. His 2013 chart topping collaboration with famed Canadian hip-hop artist K-OS was nothing short of tremendous! 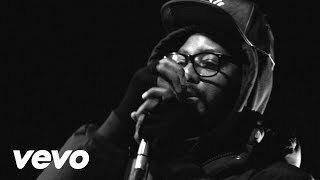 Sheldon wrote, recorded, mixed and performed on the number one hit song “Nyce 2 Know Ya” with K-OS himself! Sheldon’s solo vocals are featured in the “Chorus” and “Bridge” sections. K-OS decided to use his vocals because “they sounded perfect the way they were” according to him. “Nyce To Know Ya” reached #1 on the Much Music Top 30 Video Countdown in June 2013 and also reached the #1 spot on the Much More Music Video Countdown in April 2013. Sheldon “Scott” Calnek, Kevin “K-OS” Brereton, and Tyler “T-Minus” Williams have all received #1 SOCAN song writer’s awards for “Nyce To Know Ya”. The song was played on Canadian-Hot AC and Canada-Top 40 radio across Canada and received over 100,000 spins, all formats combined. In early 2012 Sheldon was offered a publishing deal from Last Gang Entertainment in Toronto from renowned Canadian entertainment lawyer Chris Taylor. Chris represents some of the biggest names in Canadian music including Drake, Nelly Furtado, and Avril Levigne. Chris Taylor is the founder, owner of Last Gang Entertainment, and himself and Sheldon were introduced to each other by K-OS himself! Sheldon has recently had his original music placed on MTV reality show “Washington Height’s”, VH1 network show “Gossip Game” and on the E! television show “Resale Royalty”. Sheldon has worked with legendary Canadian Grammy award winning producer Tyler Williams a.k.a T-minus, Grammy nominated Canadian producer Henry Russell Walter a.k.a. CIRKUT and up and coming Canadian producer Illangelo. There’s no telling how far Sheldon will climb in the music industry, but one thing is clear, his professional approach has worked in his favour thus far and he will continue to work tirelessly towards building a successful and prosperous career in the music industry.